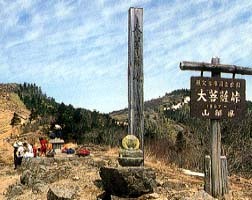 The path through a wood on the altitude (center of a photograph) of about 1900 m and the hilly country "Daibosatsu Pass" popular with a hiker which Mt. 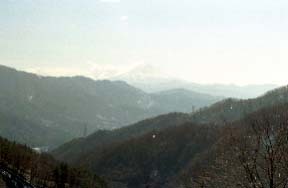 Fuji and a South-Alps can command a whole view of from the Yanagisawa Pass (1472 m), and a sakeishi hot spring is winter traffic stop. 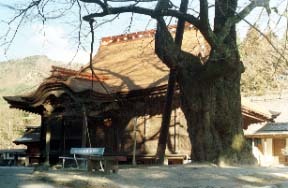 There are Shingen Takeda's prayers-for-victory temple, "cloud Minedera", the Takeda banner "Furin-Kazan", the oldest Rising-Sun flag in Japan, etc. 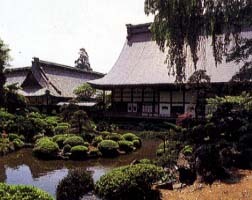 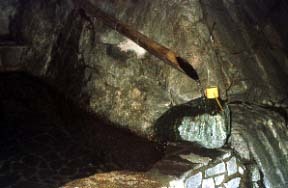 "Erin-ji" where a dry landscape garden is famous.